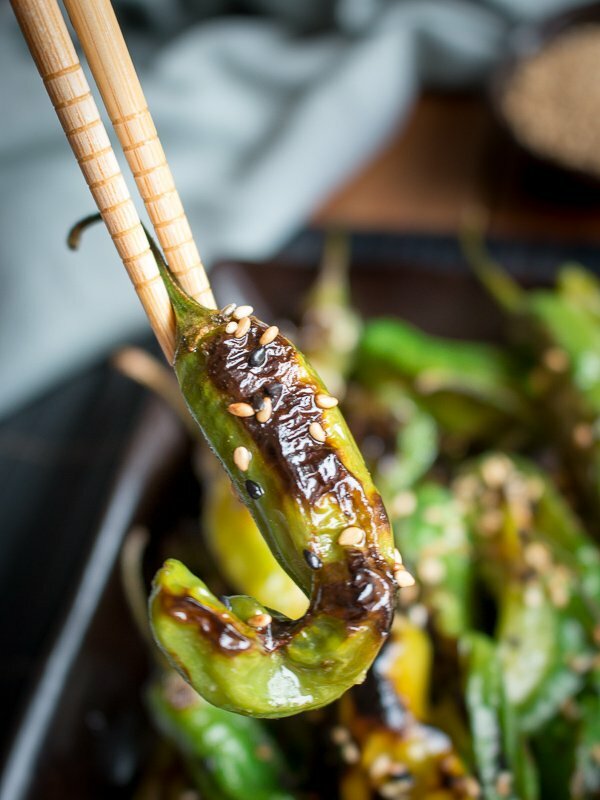 How to Cook Shishito Peppers on the Grill on HWC Magazine is your one stop destination for learning how to choose, grill and dress your delicious Japanese Shishito Peppers. 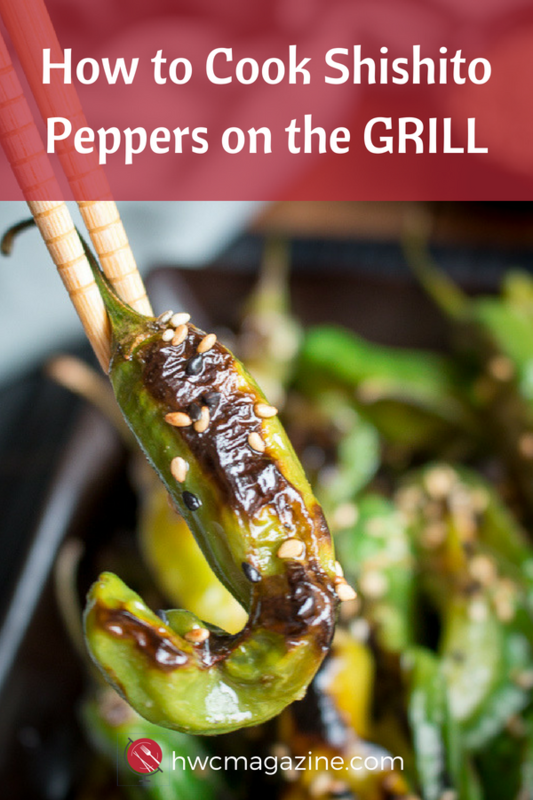 You are going to love learning how to cook shishito peppers on the grill. 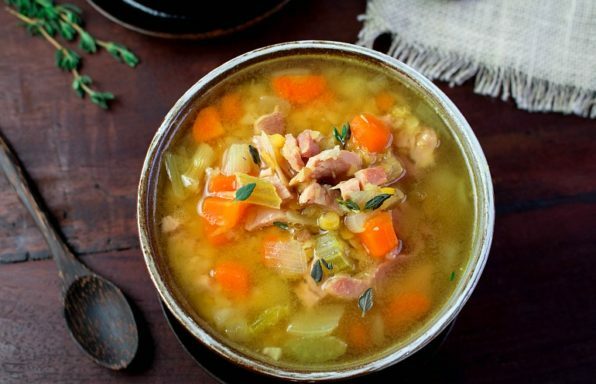 It takes less than 10 minutes and you have the perfect side dish. 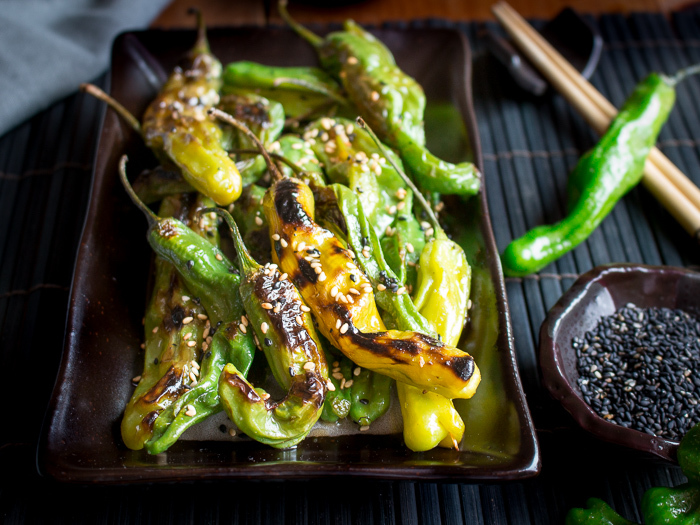 Blistering shishito peppers take on that smoky addictive chargrilled flavor that makes this dish extra delicious. The shishito pepper is the sweet Asian variety of the capsicum. 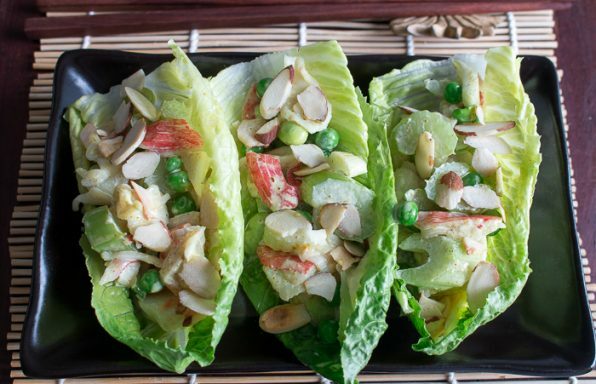 However, about 1 out of 10 shishito peppers can be spicy. This has a lot to do with the environment they were grown in and a very hot and dry climate forms a spicier shishito pepper. 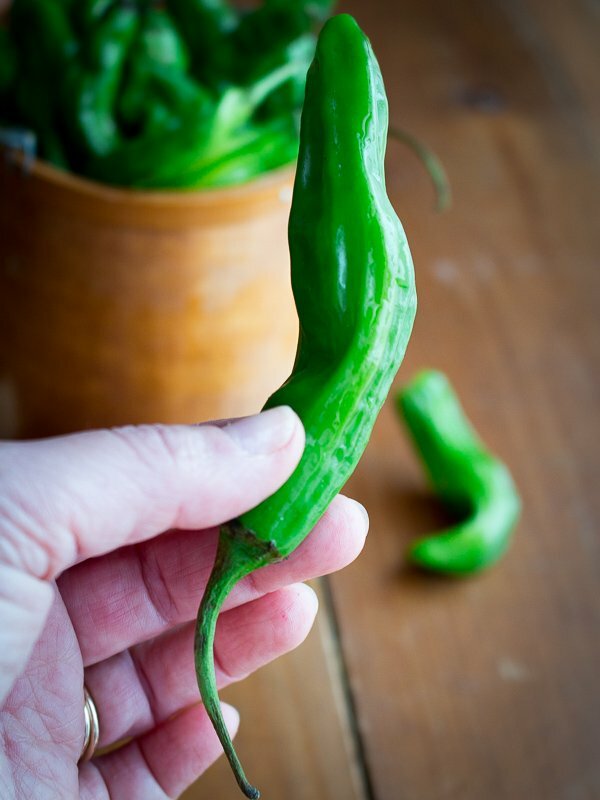 Shishito peppers are about the size of your finger and are green with a thin skin. 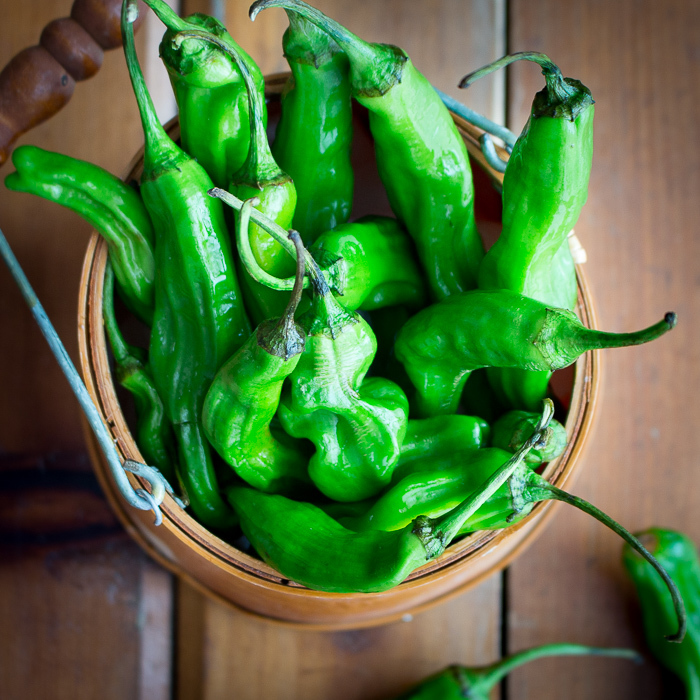 Japanese Shishito peppers are like a Spanish Padron but are less spicy and have more cute wrinkles. However, we did get one spicy shishito pepper during our last grilling session and it kind of grabs you as the rest of your encounters have been sweet and mild. 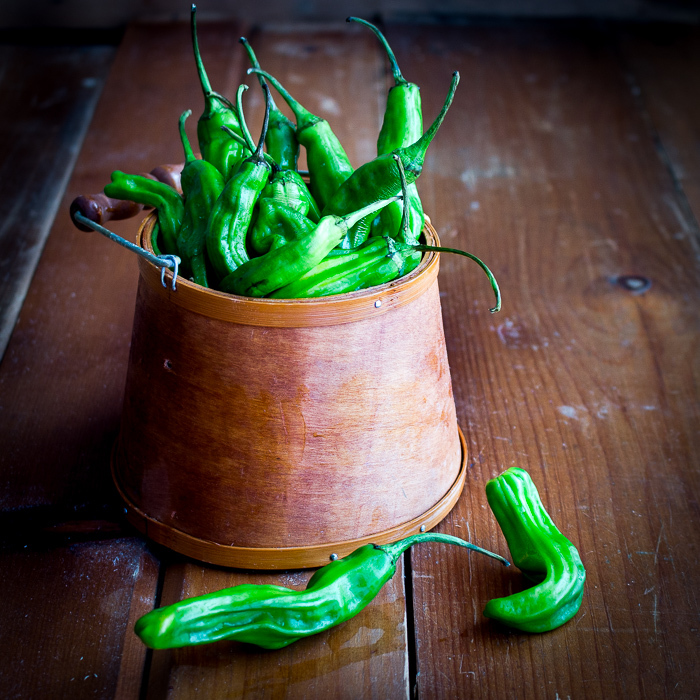 The spicy ones do have a good little spice that causes you to hold a moment and let the heat dissipate. It passes quickly and then you are on to the next. 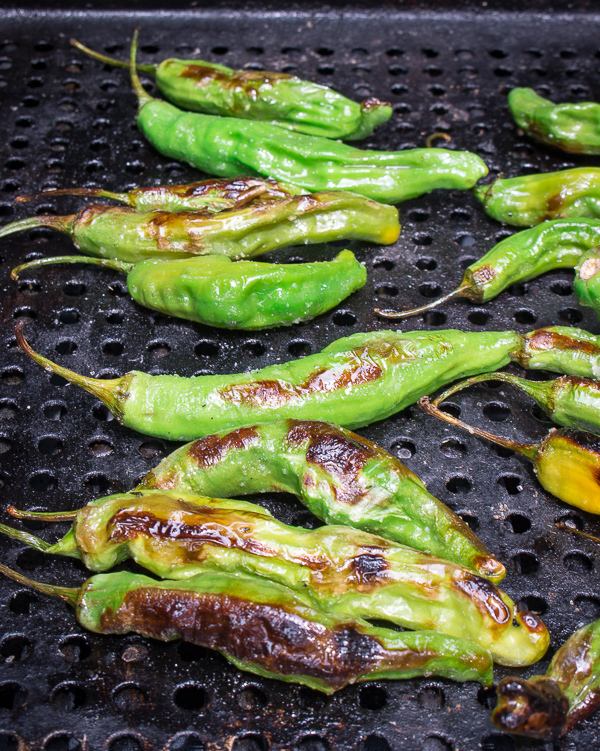 Learning how to cook shishito peppers on the grill is going to open endless ideas for a low carb appetizers or side dishes. 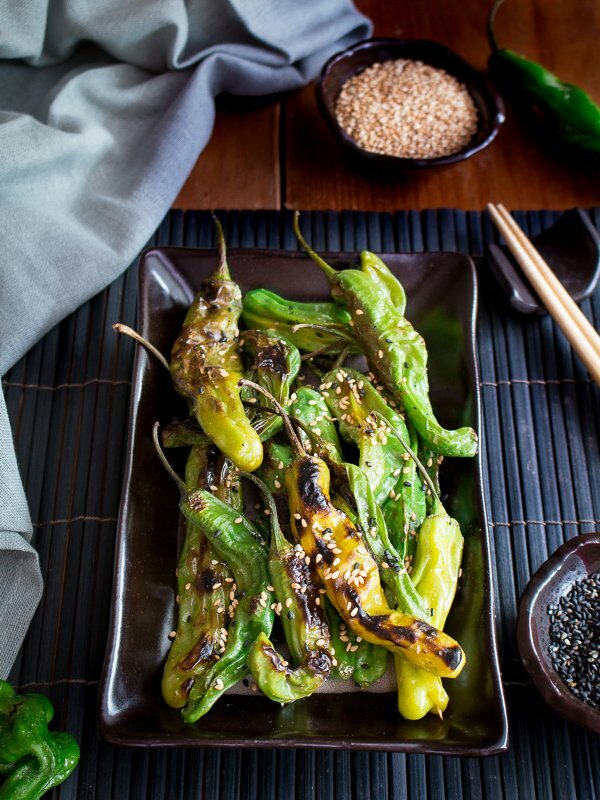 Grilled Shishito peppers are keto friendly, diabetic friendly, gluten-free, dairy-free and vegan. In addition, these little shishito peppers are cool and trendy and easy to come by in most markets and whole foods stores. Shishito peppers can last a few days on the counter or a few days in the refrigerator but then are best to use before the skin gets soft. Wash and leave whole with the stem on. 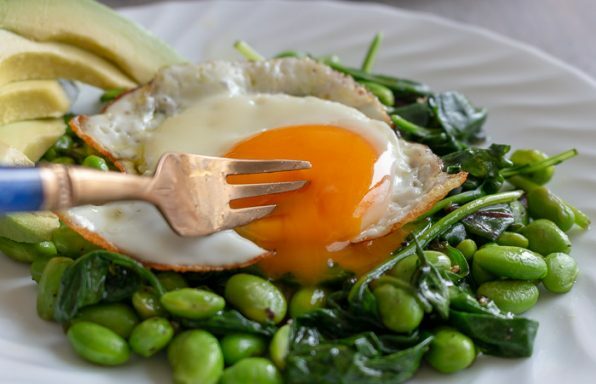 You can lie them directly over a vegetable tray on the grill or you can skewer them on yakitori sticks to make it easier for turning and so they do not fall through the grilling grates. Grill over medium heat on both sides just until they start to blister and turn a little golden brown but still have green edges. 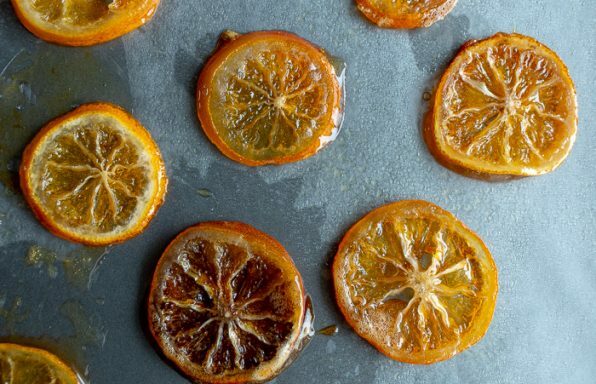 You may also grill indoors in your grill pan if inclement weather or even toast in an iron skillet to get delicious blistered shishito peppers. You can eat all parts of the shishito pepper – seeds and all - excluding the stem. If you learn how to cook shishito peppers on the grill, they make a fantastic side dish to our Negima Yakitori with Grilled Portabella. You may also wish to serve some refreshing Lemon Diakon Refrigerator pickles on the side. . Another fun side dish or Japanese appetizer is our Jenga Japanese Sweet Potato Fries. 2Poke a very tiny hole at the top of each pepper to allow the steam to escape so that the peppers do not split open on the grill. Trim the edges of the stem on shishito peppers just to take off the small black edge. 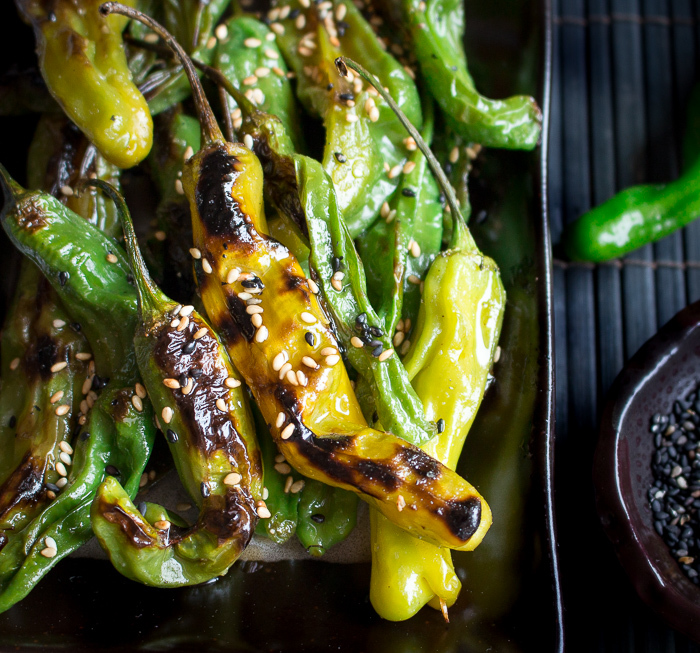 Toss shishito peppers in sesame oil and salt and white pepper to taste. Grill on a vegetable grilling grate or skewer your shishito peppers with 2 yakitori sticks (pre-soaked in water for 30 minutes) for 1-2 minutes on each side or just until start to blister and turn golden. 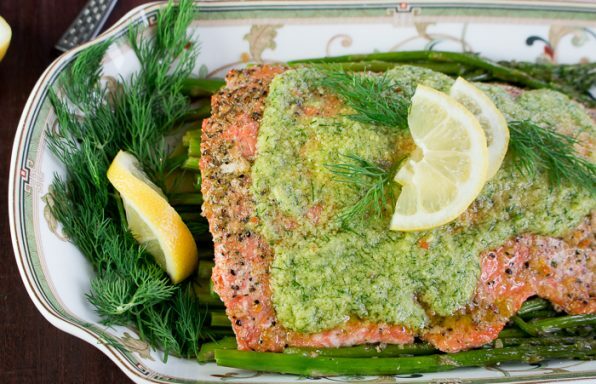 There should be some green still showing and don’t grill so long that the skin pops open. You are looking for just a quick chargrill on each side. 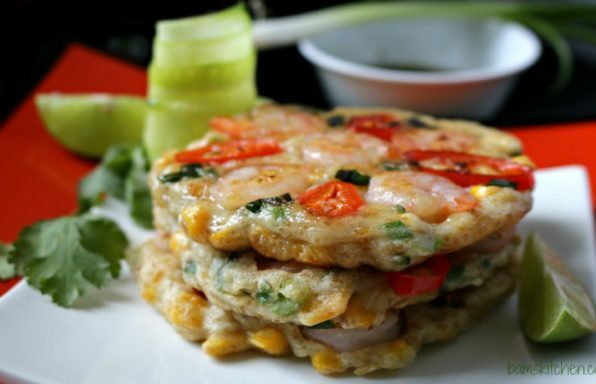 3Remove from grill, sprinkle with toasted sesame seeds and finishing salt and enjoy! 4Chef's Note: You can serve with soy or tamari as a dipping sauce or Japanese Shichimi togarasi (red spicy ground pepper), if desired.